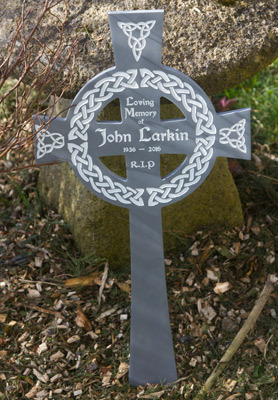 Stone-like corian is ideal for memorial crosses. Although more expensive than the wooden crosses they tend to last longer as no maintenance is required. They can be used as a grave marker or as a permanent memorial. We have three standard sizes, four colours and two styles. These are available at the best prices. 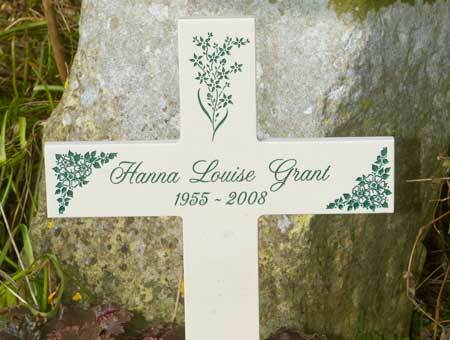 As always we can make your memorial cross just the way you want. If you want something different, email us for a quote. 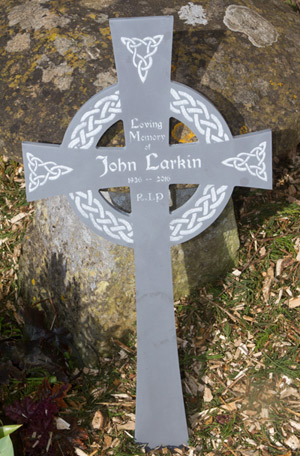 The designs used on the celtic cross are included in the price. The corian colours for memorial grave crosses are shown below. Other colours are available for an additional 10%. Corian is 12mm thick. 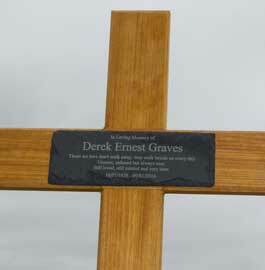 We can include images on the corian memorial crosses. We have a very large selection to choose from - Any of the single colour images can be used on the crosses. Click here. On the Celtic Crosses - Designs A or B as shown - the images are included in the cost. Made in the UK. 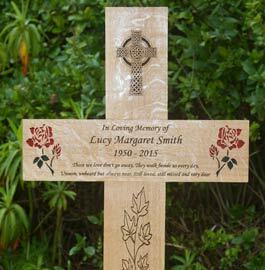 Our team at The Sign Maker looks forward to helping you with your memorial cross.